Notes: Burial is recorded in the ledgers but monument is missing. No dates but entry is before1905. No indication for plot location, only lot number. Notes: Possible Pioneer In the Kruger Family Lot, she was born in Russia like Frederick and Fredrika Kruger. She is a 70-year-old widow in North Dakota in the 1920 census, so Lechner is likely her married name. She may be a sister of either Frederick or Fredericka. ?? Other Remarks: Is inside a concrete border for all of lot 61, appears to be the Kruger family lot. Notes: Related to these Pleasant View Cemetery residents: Daughter of Dorris & Mattie Young, granddaughter of Marion and Lily Young, great granddaughter of John Wallace and M. Clementine Graham, great granddaughter of William Shelby and Isabel Young, great-great granddaughter of George and Anna Bailey, great-great granddaughter of John and Sarah Zumwalt, great-great-great granddaughter of Sobrina J. Russell. Oregonian Obituary: Dorothy was born April 24, 1918 in Wilsonville, to Dorris and Mattie Young. She was a granddaughter and great granddaughter of Oregon pioneers. She attended Wilsonville Grade School, West Linn High School, and received Mortarboard honors for service and academic excellence at her graduation from Oregon State College in 1939. She was a 50-year member of Eastern Star Holly Chapter #126. She married James B. Lehan in 1944; he died in 1988. 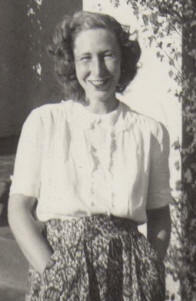 During WWII she worked for the Pacific Overseas Air Service Command, managing in-transit depots in Portland and Seattle. She worked for Ross B. Hammond Co. as the office manager throughout the construction of Dammasch State Hospital. When Dammasch opened in 1961 she served as Director of Volunteer Services and later, as Coordinator of Activity Therapies. She worked at Dammasch for 23 years, served on the Board of Directors of the Mental Health Association of Oregon, and was a State Employee of the Year in 1972. A life-long supporter of education, she was a member of the Kappa Delta Sorority, served as President of the Wilsonville Grade School PTA, was the first Wilsonville representative - and the first woman - to serve on the West Linn School Board, which she chaired for three years. She was the key proponent behind the 1967 purchase of land for the future Wilsonville High School. She spent many months working with Phil Balsiger and others on the initial incorporation of the City of Wilsonville in 1969, and served on the City's Budget Committee after that. Other Notes: World War II Veteran, U. S. Army Bombardment Wing in Europe and North Africa; Taught History and English at Tigard High School, South Salem High School, and Leslie Jr. High School in Salem. James Baird Lehan, a resident of Wilsonville, for 44 years, died at home Monday, Jan. 4. 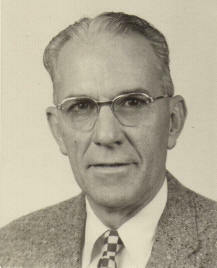 He was born June 28, 1905 in Dunlap, Iowa, the eldest son of Dr. James W. Lehan and Helen Baird Lehan. The family moved to Greeley, Colorado when he was very young. A graduate of Kemper Military Academy in Missouri, and of the University of Northern Colorado in Greeley, he received his masters degree from Stanford University in Political Science. During World War II, Mr. Lehan served with the U.S. Army, 49th Bombardment Wing in Europe and North Africa. He taught high school and junior high for many years, in Tigard and Salem, retiring from the South Salem School District in 1970. He was a member of VFW, OEA, and NEA. Surviving besides his wife, Dorothy, are one son, James Q. Lehan of Sparks, Nevada; three daughters, Susan Wiancko and Charlotte Lehan of Portland and Adele Lehan of Wilsonville; one sister, Charlotte Bauer of Greeley; and four grandsons. At Mr. Lehan's request there were no services. Last Name: LEO First: Henry Middle: D.
H. D. Leo, for many years a resident of Sherwood, died Wednesday morning in a Portland hospital, following an operation for stomach trouble. The exact cause of death is not as yet known, but attending physicians gave out the information that the entire digestive tract had been affected. The body was brought to Sherwood Wednesday evening for embalming. Mr. Leo has no known relatives in this section of the country and friends are now trying to locate relatives he has spoken of as living somewhere in the east. Since coming to Sherwood he has lived the life of a recluse, and his living rooms in his building at the corner of Railroad and Mains streets have never been visited but by perhaps two or three persons. Of a mechanical turn of mind, it was generally supposed that his aversion to visitors was prompted by a desire to keep inventions which people thought he was working upon a secret. Since his death, officers have opened the place and nothing of this sort was there. Mr. Leo was an employee of the S. P. Railroad for many years and was at the time of death a retired pensioned employee. He has amassed a fortune of anywhere from thirty to fifty thousand dollars, according to estimates of his friends here. Definite disposition of the body will not be made until word is received from relatives or every means exhausted in trying to locate them. Ledger Notes: Not recorded in the ledgers. Other Notes: Likely a Pioneer. Mother of Ernest, Martin, Harry, Nettie, and Nellie. Sister of Almina (St. John) (Murray) Crow. Of the six family members on this monument, only the father, Harrison, is recorded in the ledgers. The mother, Auregene, and three children, Martin, Harry, and Nellie all died in 1878. Another child, Nettie, died in 1867. Ernest is the only one to live to adulthood. Other Remarks: This spectacular monument is the tallest and most ornate zinc monument in the cemetery. AGED 5 YRS. 10 MO. 18 DAS. AGED 7 YRS. 9 MO. 18 DYS. Last Name: LICHTENTHALER First: Edwynia Middle: M.
1902 --- 1973 FRANK A. 1903 --- 1971 JACK R.
Last Name: LICHTENTHALER First: Harrison Middle: B. Other Notes: Oregon Pioneer of 1853. Father of Ernest, Martin, Harry, Nettie, and Nellie. Of the six family members on this monument, only the father, Harrison, is recorded in the ledgers. The mother, Auregene, and three children, Martin, Harry, and Nellie all died in 1878. Another child, Nettie, died in 1867. Only Ernest survived to adulthood. Other Notes: Son of Harrison B. Lichtenthaler and Auregene (St. John) Lichtenthaler. Of the six family members on this monument, only the father, Harrison, is recorded in the ledgers. The mother, Auregene, and three children, Martin, Harry, and Nellie all died in 1878. Another child, Nettie, died in 1867. Other Notes: Daughter of Harrison B. Lichtenthaler and Auregene (St. John) Lichtenthaler. Of the six family members on this monument, only the father, Harrison, is recorded in the ledgers. The mother, Auregene, and three children, Martin, Harry, and Nellie all died in 1878. Another child, Nettie, died in 1867. Other Notes: Daughter of Harrison B. Lichtenthaler and Auregene (St. John) Lichtenthaler. Of the six family members on this monument, only the father, Harrison, is recorded in the ledgers. The mother, Auregene, and three children, Martin, Harry, and Nellie all died in 1878. This child, Nettie, died in 1867.